However, a quick review of the embedded URL shows this is spam if your email program didn't already categorize it as such . The URL is no longer active but domain offene-tueren.net (81.169.145.148) tracked by ransomware tracker is associated with Locky malware. 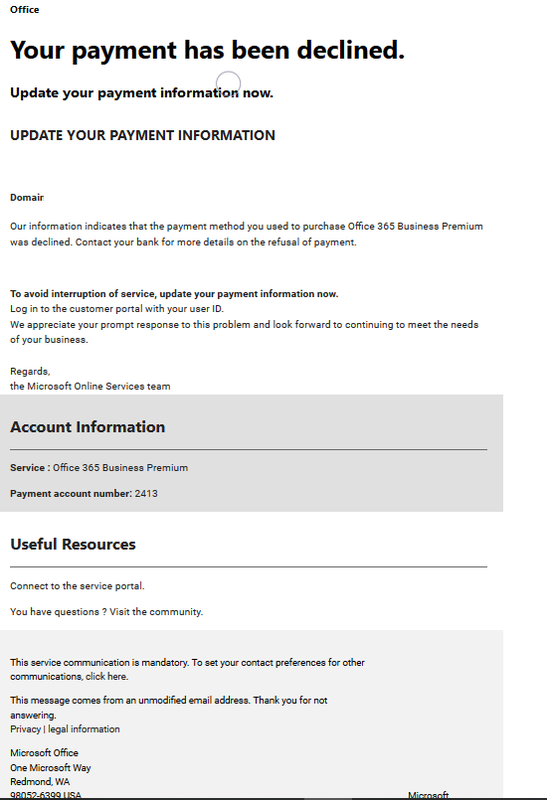 Refer to a recent posting from Microsoft  that describes how Office 365 mitigates against phishing attacks. A valid message from Microsoft would look like item #2 "Microsoft account security code".